Many unifying factors lead to a more balanced autonomic nervous system. A combination of eating well, moving the body, reducing emotional stress, and deep breathing all improve the sleep inducing environment. 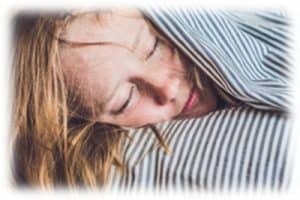 One major factor that contributes to sleeplessness often goes unaddressed or remains unknown to those who badly want to experience a quality sleep rhythm. That major factor is posture, as the window into the state of health of the spine and nervous system. Posture, bio-mechanical structure, and movement of the spine play a vital role in regulating hormone balance and fixing the problem that no drug or pill can resolve. The spine experiences an intimate connection to the autonomic nervous system through microscopic neurons and receptors densely populated in the small muscles, ligaments, and joints in and around the spine. These neurons communicate with the brain on a second-by-second basis for an entire lifetime. Altered autonomic nervous system balance results from abnormal movement or misalignment in a person’s spine and posture. Healing and rest become a major challenge when the body struggles to communicate. Med Hypotheses. 2015 Dec;85(6):819-24. Measureable changes in the neuro-endocrinal mechanism following spinal manipulation.